Has anyone any detail on setting up a pump drive on the slant six cam? 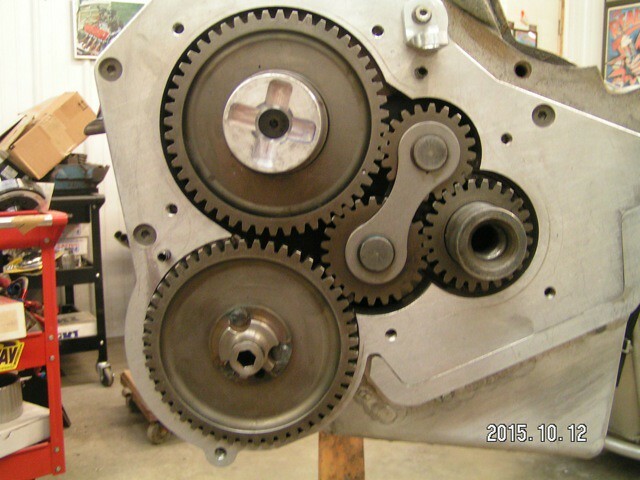 We have a single Bolt cam gear. Is there a gear or drive system that anyone has used on the slant six? We have some ideas, but I'd like to see and hear about what others have done. 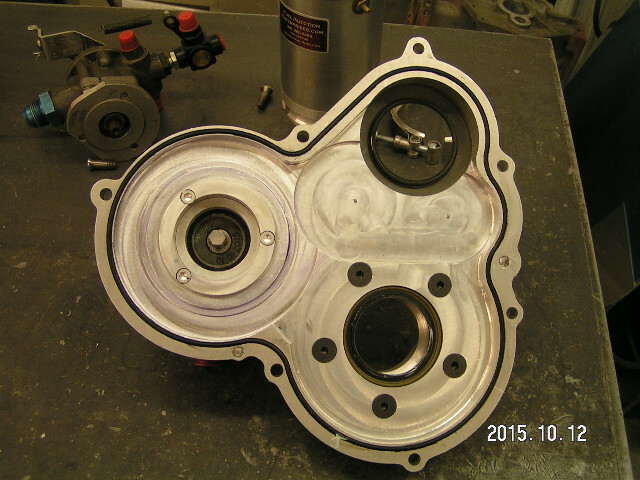 Are you talking about a fuel pump drive, or oil pump? Most people using a external drive, for either or both use a crank drive system. I've never used one myself, so can't advise. I know Ron Hamby uses a crank drive system, as do several others. Post subject: Re: Cam Driven Pump Need a Cam Spud. Both fuel pump and oil pump will run off the cam. A cam spud. I'd like to see a pic of one of their crank mounted setups. Send a PM to Ron. I would also send a PM to Rick and/or Ryan Covalt. They have tons of pictures of slant six cars, and probably have some of a pump drive. I think that the fuel pump on Mark Goodman's dragster is driven off the cam. Maybe he can help. 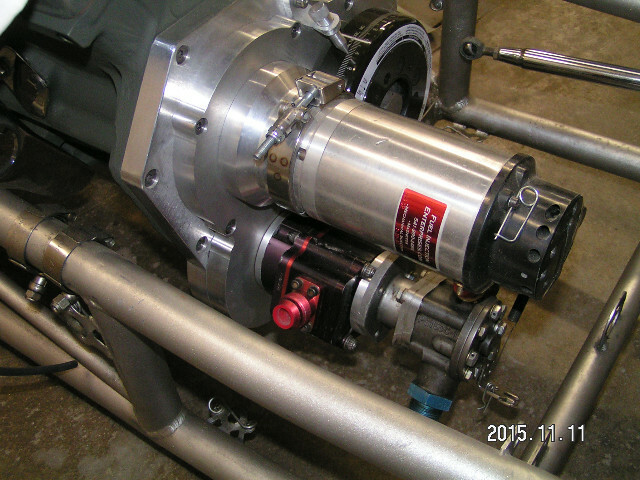 Wasn't it Hilborn that had the cam drive injection pump? I know why you're want to cam drive everything Ceej, but I'd think the oil pump would put quite a load on the cam gear. WOW!!! Quite beautiful work Mark! Thanks for sharing. Very nice! Unfortunately this solution exceeds the limitations of my machine tools and skill level with them. Last time I checked, slant gear drives were no longer available. Is there a source for them still? Thanks for compliments. I bet Ceej can build it. I had machine shop in high school 40+ years ago and my Bridgeport mill,South Bend lathe both did duty during the Korean War. The gear drive is a Pete Jackson for a BBM. 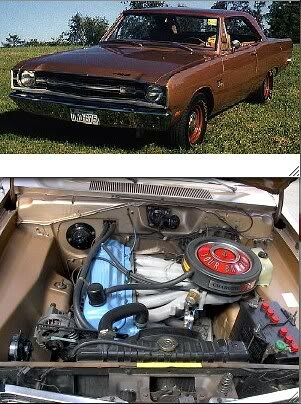 To adapt to a slant is to make a spacer of .400 to move the cam gear forward or cut the crankshaft. Seymour is right, we started with the tractor engine and the pump was ran off the front of the cam. The pump was too high for the fuel level of the tank. We had to prime the thing every time we started it. Not fun. How about some pics of the rest of the car (in another post-bad enough I hijacked this one). 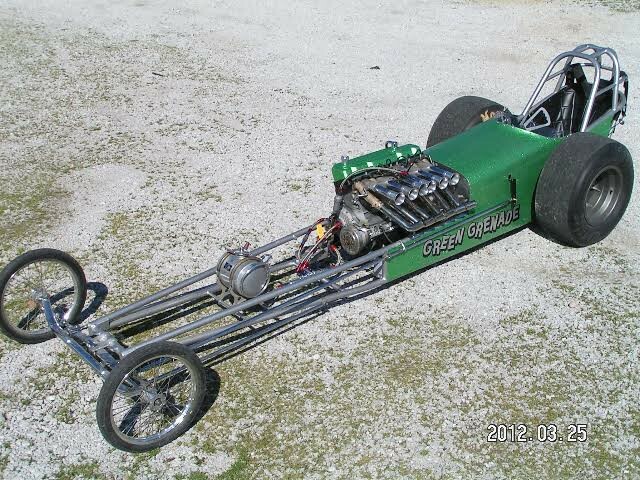 Ceej are you going to run a fabricated fuel tank between the frame rails or a tank above the rails? The Grenade just didn't work the best with the setup in the photo. You build absolutely beautiful stuff Mark! 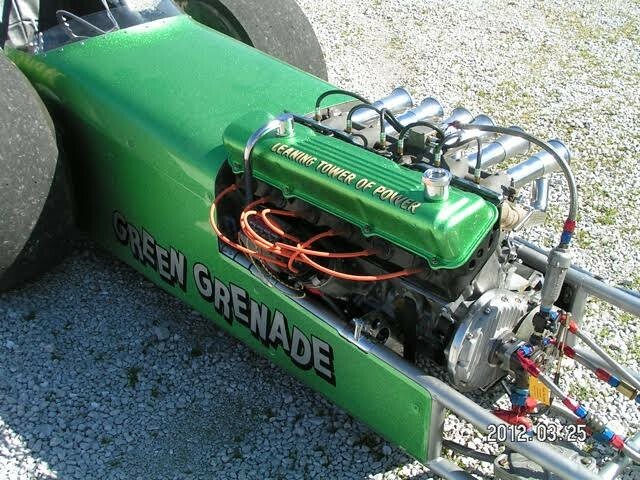 Yer team needs a green weenie car now to round out the fleet.